State Fire Marshal Stephen Coan and members of the Massachusetts fire service are concerned that the winter months will lead to an increase in fires from heating, open flames and other risks. 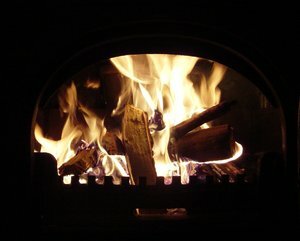 Heating is the second leading cause of home fires in Massachusetts. It is important to Keep Warm, Keep Safe this winter. During this time of the year, officials with the Massachusetts Executive Office of Public Safety remind residents to check their chimneys, furnaces, space heaters, and fire-prevention resources. Our personal injury attorneys in Quincy understand that there are more than 900 people who are killed in winter home fires in the U.S. each and every year. These accidents cause more than $2 billion in property loss. More than 65 percent of these accidents happen in one- and two-family homes between the hours of 5:00 and 8:00 p.m. If you’re in an apartment or condo, do you know who will be responsible for the damages? Typically, your lease is signed by an officer of the cooperative corporation, as Lessor, and the shareholder, as Lessee, and contains, among other things, provisions regarding the responsibility for the repairs of both parties. A lease will generally provide that the lessee is responsible for maintaining and repairing the interior of the apartment, while the cooperative corporation will be obligated to maintain and repair all other parts of the building. A typical lease contains four paragraphs dealing directly with repairs: Lessor’s Repairs, Lessee’s Repairs, Damage to Apartment or Building, and the Right of Entry paragraph. In a renter’s case, the property owner is responsible for making sure that all appliances are up to date and are running efficiently. If there are any appliances, like heaters, fireplaces or furnaces that are not operating properly it is important that you contact the property owner for repair as soon as possible. It’s important to document this notice. In other cases, it is up to you to make sure that you’re doing your best to keep your home warm and safe. Officials with the National Fire Protection Association remind residents that people are at greater risk in the winter season when they may use unsafe heat sources or if they don’t follow fire safety rules in the kitchen or while using candles. Officials with the Public Safety office suggest that residents burn candles within a one-foot circle, free of anything that can burn. Before you leave your home, make sure that you blow out any lit candles. Make sure that the candles are completely extinguished before leaving. It’s critical that you use a non-combustible saucer or candleholder. Lastly, keep candles out of reach of children and pets. If you’re buckling in the cold weather and choose to use a space heater, it’s important that you look for one that has been tested and labeled by a nationally recognized testing company, such as Underwriter’s Laboratories Inc. Once you’ve got one home, it’s critical that you keep the heater at least 3 feet away from any curtains, drapes or any other furniture that can burst into flames. Always supervise children and pets when a space heater is in use. Avoid using these heaters for an extended period of time. Remember that they are only temporary fixes. Never keep one running while you’ve left the house or while you’re sleeping. Cooking is, and has long been, the leading cause of home structure fires and home fire injuries. This is true for both fires reported to fire departments and those handled without fire department assistance. Stay in the kitchen while you are frying, grilling, or broiling food. If you leave the kitchen for even a short period of time, turn off the stove. If your food takes a while to cook, make sure that you check on it periodically. Keep anything that can catch fire — oven mitts, wooden utensils, food packaging, towels or curtains — away from your stovetop.